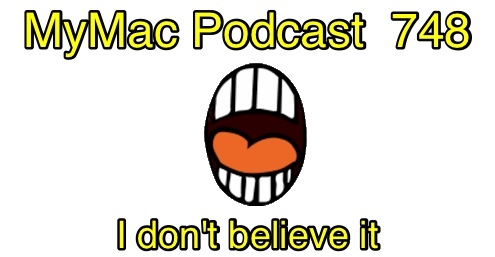 MyMac Podcast | Podcasting since 2004! 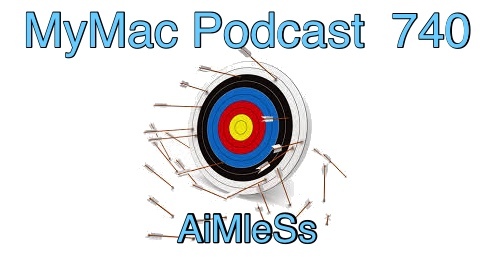 750 podcasts that have been produced since 2004 is SO impressive! Until it’s understood that neither Guy nor Gaz other than a secondary presence wasn’t part of the first 285. So as a pairing it’s really show 465 which isn’t nearly as grand. Guy’s Pick: Yamaha’s 10-input mixer, the MG10 is a nice little unit with built-in compression settings for the first two inputs. Would be nice if it was multi-track, but then I couldn’t complain about it. $155 on Amazon. Gaz’s Pick: Apple’s Wallet application, if I’m not using for credit card transactions, which I must say I tend to use my watch, however for travel documents it’s great, the biggest problem is finding the trick to get the ticket in, but if that’s easy then I do it and keep them there. A longer show if you include the after show but shorter than the short show from last week if you don’t. Got it? Good. Guy is upset about the AAF shutting down and Gaz is upset that Numbers isn’t Excel. They’re BOTH upset that Apple watches are making the news but not in a good way and that AirPower is impossible. Apple’s Airpower that is since regular air power is easy as pie but not for Apple…So Apple Pie…oh never mind. Guy’s Pick: NDI from Newtek. It’s more a protocol than an application, but it’s really cool to see what it can do. Free-ish. Gaz’s Pick: Believe or or not Safari. I use it more than other browsers and I use it more and more. Hey it’s not a bad browser, probably I like it because it helps keep you hidden from those bastards trying to get your every move. What if Apple had an event and a lot of people didn’t like it? That’s the question Gaz and Guy attempt to answer in this early and supposed to be shorter podcast. 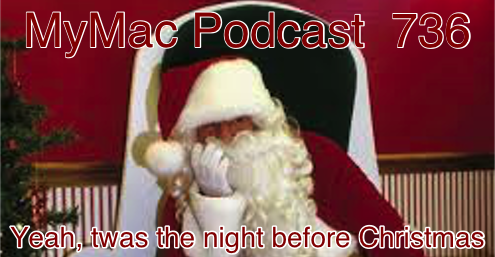 However it ended up nearly as long as every other podcast. Well of COURSE it did. Guy is finally back from his east coast extravaganza where he and Tracey spent a significant amount of time not feeling well. 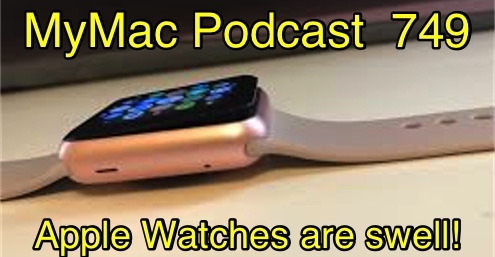 Gaz finally has a music snippet for Gaz’s news snippets, and they discuss all the new Apple hardware. It’s enough to make you feel like a Funky Poodle. Guy’s Pick: While the car I had was no great shakes with it’s infotainment system, my iPhone 8 and the Waze app pointed us in the right direction. 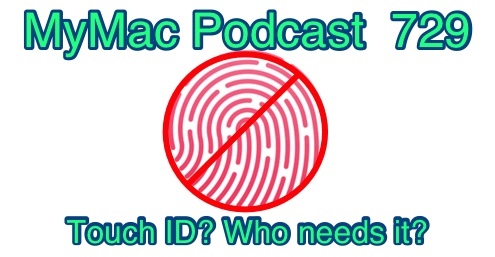 MyMac Podcast 746: Who’s who? And the lull ends, so there is an Apple event at the end of March and I think they’ve announced the timings for the WWDC ticket lottery. So the End of March event could have a Who’s who of celebrities turning up, I wonder why? Talking about celebrities as Guy is still frightening the locals somewhere in the depth south Karl Madden has joined me. Gaz’s Pick/Tip: Gaz’s too lazy to do one! 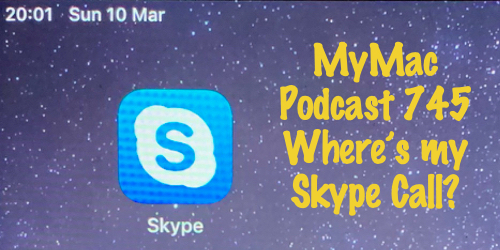 MyMac Podcast 745: Where’s my Skype Call? Apples gives and then takes away…layers of confusion and it’s hard to say whether this was a good thing to take or a bad thing to give. Could be both. Meanwhile the GMen don’t dwell on it because of a short attention span and instead talk about ideology, Steve Jobs, the FBI, East Texas, and streaming game services. Oh and some kerfuffle about Facebook and privacy but hey, it’s Tuesday. Guy’s Pick: Behringer’s UMC204HD is a really good audio interface and is apparently popular and that has been noticed by retailers as the price has jumped by 25% or more since I bought mine last year at $80 but which is now $130. It has midas-ish pre-amps that are very clean and efficient and some of the best at this price point. It’s one to consider if you’re looking for an audio interface, but look for bargains as the price seems to be fluctuating. The GMen are not overly fond of analysts and all their blather, so when two directly contradict each other, it cause for a case of the giggles…or sniffles in Guy’s case. 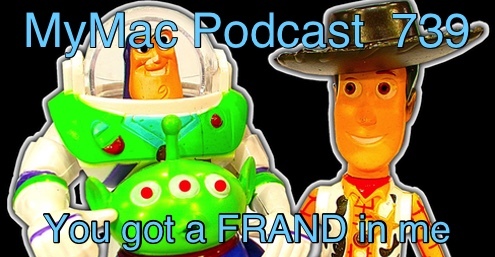 Guy also keeps hearing about ARM-based Macs and Gaz keeps poking him for reactions! Guy’s Pick: Going to use the next few shows to talk about my mobile podcasting set up as far as what I use. This time, it’s a tale of two mics, but the one I’ll recommend is the Sennheiser e835 dynamic mic. It’s about $100 from Amazon. It’s a dynamic mic (means unpowered) with a cardioid pickup (tightly focused for sound pickup) and a frequency response of 40-16KHz. Needs a lot of clean gain as most dynamic mics go but it’s great at background noise rejection. No podcast last week because Guy was at death’s door! That’s IF “Death’s door” was sniffling, a little coughing, and making everyone around him miserable by complaining. Come to think of it, many did want to kill him before he felt better. 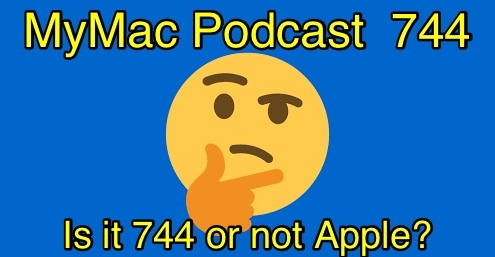 This week though, they catch up on all the MyMac stuff, a little news, if Apple should buy Netflix, and laughing that Samsung wants to open exclusive Samsung stores. Guy manages to half destroy his mancave and Gaz wants to go museum hopping! Also, Apple sells a lot of stuff but not as much as they promised they would (proooooomised! 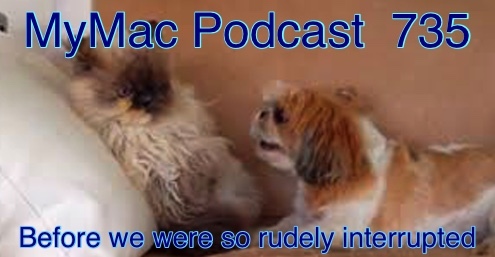 ), FaceTime flaws, and Google/FaceBook did a naughty thing! 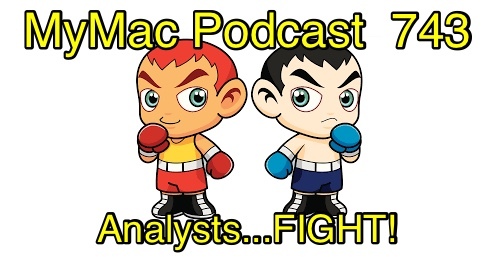 Guy’s Pick: Looking to try your hand at podcasting, but find a DAW like GarageBand intimidating? Well take a look at the free Spreaker app. Pretty much everything set up for you and it will record to your local drive. If you want to sign up and use the Spreaker service you also get chat support with your audience. 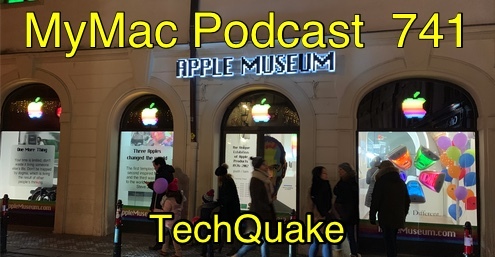 Gaz’s Pick: The Prague Apple Museum! Yes the GMen are without direction. Yes, they meander all over the place. No, that doesn’t have anything to do with the show’s title. 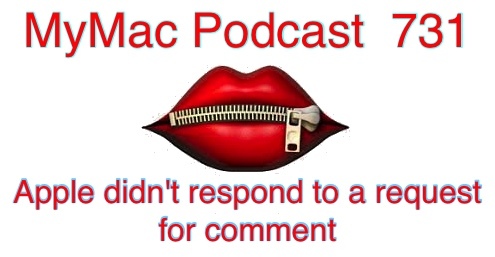 It’s a not very clever way to bring up a Macintosh Emulator. 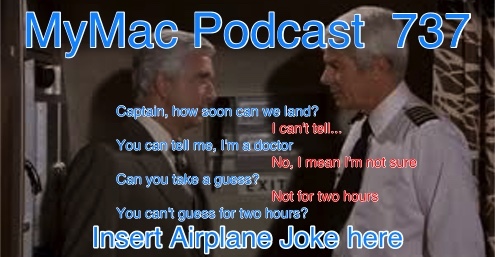 They also have a non-second section technical talk about all kinds of things and maybe they’ll start doing that in the second section too…unless they forget. Guy’s Pick: Swift Publisher 5 from Belight software $19.00 or a $14.00 upgrade from previous versions. Terrific and easy to use graphic and page layout software. They have a free trial so if you’re not sure try it first for 30 days. There’s a great reason why the show has this name, but Guy can’t remember what it is. What he does remember is that buying stuff at Wish is not typically a wish granted. Gaz is editing his time-lapse videos on an iPad instead of his Mac and hacks and viruses just aren’t what they used to be. Lastly, feeling nostalgic for older Apple products? Well like bad food they may be back up again! Guy’s Pick: IVI 4 Video converter from South Pole Software. $14.99 from the Mac App Store. Turn almost any video format into some other video format. It’s traction distraction, what’s your fractions? Guy LOVES microphones and he’s disappointed when a cheap one outperforms an expensive one…especially after he’s bought both! Gaz is distracted by time…and time-lapse. But isn’t time-lapse something that happens anyway? Oh and we suppose the Consumer Electronic Show in Vegas is worth a mention or two. Guy’s Pick: A very quiet USB microphone. Normally not a good thing but in this case the quiet is noise you didn’t want in the first place. Neewer’s NW-3U USB microphone at $28 is a great buy. Gaz’s Pick: Anker Soundcore Fully waterproof 360 speaker bought a couple in the post Christmas sales and they are great. I got them for 29 gap each but at 60 maybe I’m not sure, however if you see them on offer GET ONE. 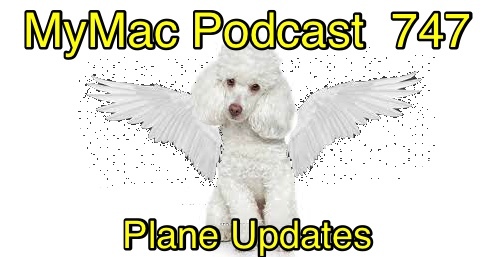 So it’s planes, lawsuits, the Queen of England (naturally), iPhone sales in China, time-lapse, and vodka. Especially vodka. And trying to find a cursor…without cursing. Guy’s Pick: Still very impressed by Mimolive from Boinx software for Livecasting. $200 per year for personal use. Happy significant milestone that neither Gaz nor Guy remembered until this week everyone! Oh, and apparently a major religion is getting ready to celebrate the birth of the Messiah some 2000+ years later. Man, at least the GMen were only a week off! Mr. Yankello redos some graphics for Guy and Gaz can’t get enough of HomeKit. 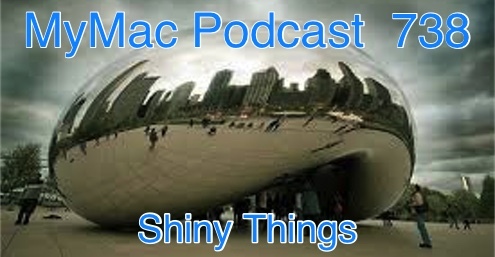 Also, Ming-Chi Kuo gets mentioned a lot, bent iPads are A-OK with Apple, and when is 5G that isn’t 5G, 5G? When AT & T says it is. Guy’s Pick: Growly Backgammon. COMPLETELY FREE! Combine it with iStop Motion Remote Camera (Free) and you have a winner! Gaz and Guy are back after a deserved by someone anyway week off. Almost completely without notes and any kind of structure which leads to hilarious shenanigans. Gaz’s got some stories and Guy just loses it several times. Guy’s Pick: Camtasia by Techsmith $250. Gaz’s Pick: The Photo app on your iPhone especially the newer phones out there, I love it, use it and use the photos app afterwards, go on. 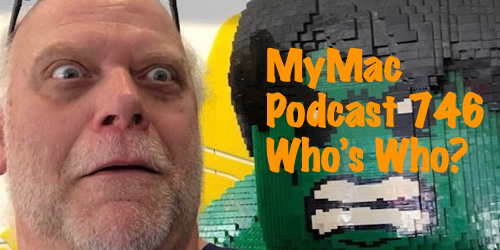 Gaz is away so David Ginsburg from the Off the Charts and In Touch with iOS podcasts joins Guy for what ended up being the third time this week so he’s already tired of Guy’s nonsense probably. 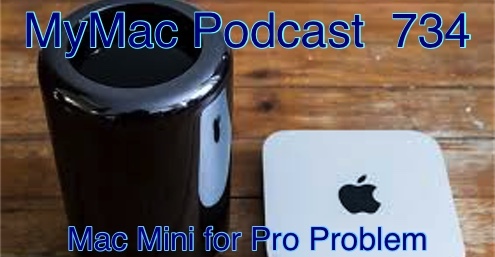 All the usual stuff and a discussion over whether or not the new Mac mini could be used as a pro machine. There’s two bundles available as well. You can get the Audio Hijack and Loopback bundle for $130, which is almost $30 off or for $175 get those two along with the Fission Audio editor. Gaz’s Pick: Not here so NO PICK! While this might seem like a redundant statement (the GMen being turkeys), it fits in nicely with that American holiday of over-eating, full contact shopping, and apparently being grateful for something or another. 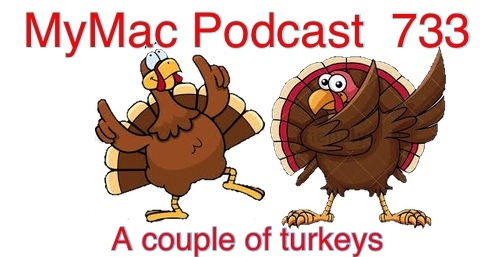 Lots of MyMac stuff as appetizers, CarPlay, analysts, and Black Friday deal fails as the main course, and all the usual after stuff for…afters. YUM! Guy’s Pick: Call of Duty: Modern Warfare 3 on Steam. Currently selling for under $20 on Steam. 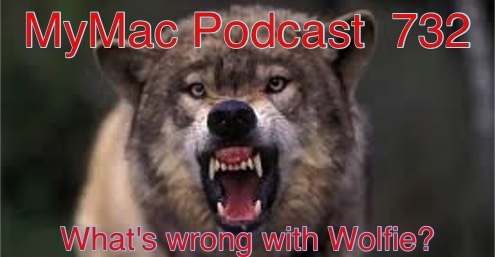 MyMac Podcast 732: What’s wrong with Wolfie? A question that can only be answered by listening to the show because their minds work (kinda) in mysterious ways. The GMen run through the news like they were taking a machine gun nest with a take no prisoners attitude…except without the actual fighting, explosions, and so forth so not nearly as exciting or life threatening. Well they certainly wouldn’t respond to THIS show! 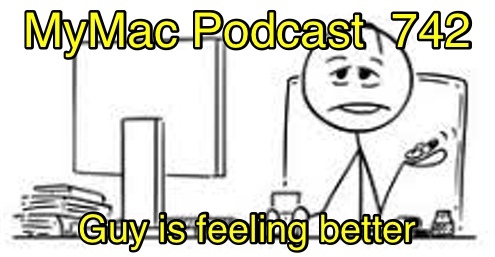 Gaz is away and Karl Madden joins Guy which is a good thing because he had all KINDS of issues…tech related. Thought I better throw that in there.